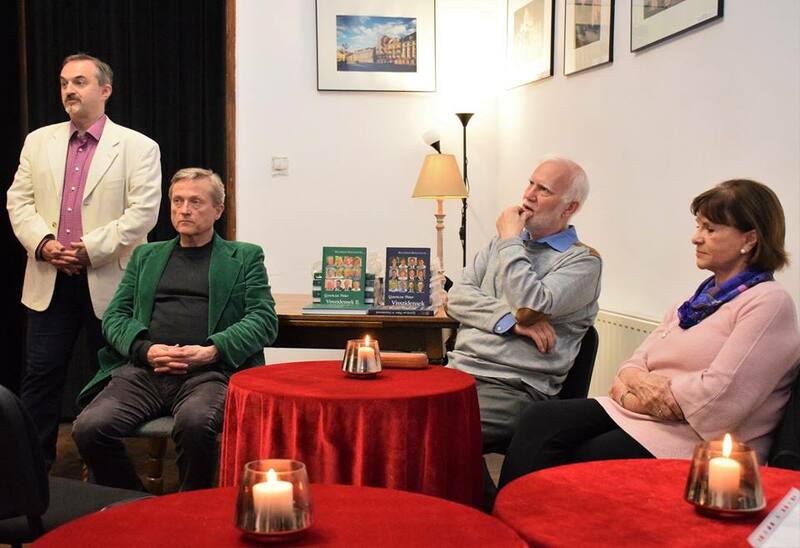 Péter Gyuricza, author of the Remigrates series published under the patronage of the Friends of Hungary Foundation, and three of his interviewees, visited Temesvár on April 11 to celebrate the publication of the second volume at the invitation of Honorary Consul, Péter Tamás. The two parts of the Remigrates series – a third volume is currently underway – contain two sets of 12 detailed, personal and unique interviews with journalist Péter Gyuricza. Those interviewed reveal where they or their predecessors lived in Hungary, why they left, how they maintained their Hungarian identity and how they came to return. To promote the second volume’s publication, the author and his interviewees are on tour around the country and beyond to show that “being Hungarian is a way of life, a state of soul which comprises a set of ancestral roots that connect even those whose parents were born abroad.” Following the event at the Danube Institute and prior to presenting the book in Temesvár, they visited Szatmárnémeti, Kassa and Nagyvárad with the Friends of Hungary Foundation. At the event, Péter Gyuricza briefly discussed the book’s history and revealed the thought process behind its title. He then invited the three interviewees to share their life stories and experiences. Alice Diego-Fedor was the first to tell her story. When she was only one and a half years old, her parents left Hungary for Venezuela in 1949. She was not able to reunite with her family until she turned seven. She never would have imagined that someday she would need to leave Venezuela just as her parents had left Hungary. István Tőkés’ interview will be the part of the third volume of the series, along with other unique, personal stories. At the age of 25, Tőkés (brother of László Tőkés) left his mother country, family and parents behind to go to Canada and try his luck. Despite leaving the country, he still became involved in the events in Temesvár in 1989. 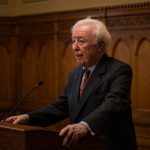 In fact, Árpád Szőczi captured the events of the Romanian Revolution in his books and films. Afterward, Gyuricza and the audience asked the interviewees a series of questions. During the panel, they raised the issue of dual identity, and the audience unanimously agreed that there is no such thing: people can be closely related to two or more cultures at the same time. However, they also made it clear that people should choose one national identity to which they feel the closest. The speakers also stated that they relate far more to Hungarians living beyond the border in terms of how they think and identify. 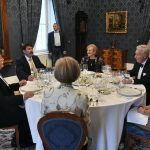 An idea for a fourth volume was also suggested: interviews with Hungarians choosing to return to the dispersed Hungarian communities in the Carpathian basin. The series illustrates just how unique every Hungarian’s life story is and how each generation views and forms its national identity differently.